Nice still life setup....My two favorite passions. 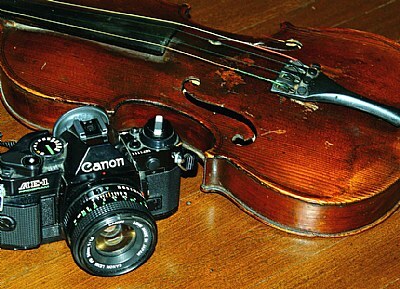 Music and photography. Well captured. great composition! congrats for the award! I used to have one of those old Canon cameras. Wonderful shot. It is very, very well-made and just so beautiful to look at Radovan.